Students will be inspired by hands-on exhibits about science when the Power of Ideas Tour visits Brandon University on Tuesday, April 25 and Wednesday, April 26. BRANDON, Man. 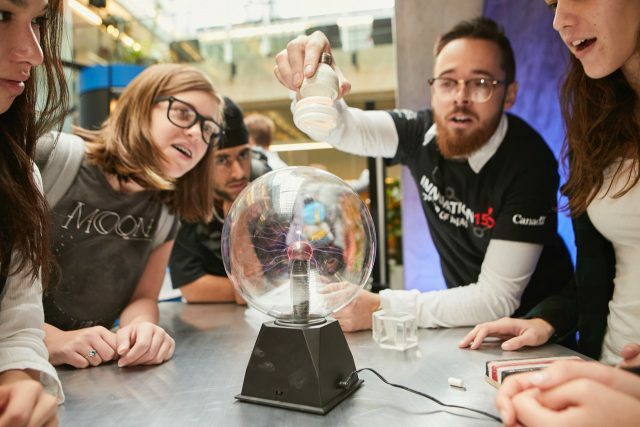 – From subatomic particles to vast black holes, close to 1,000 Westman students will be immersed in a science experience unlike anything ever seen in the city next week at Brandon University (BU). Celebrating Canada’s 150th anniversary of Confederation, Innovation150 is bringing the Power of Ideas Tour to Brandon University on Tuesday, April 25 and Wednesday, April 26. Students will team up to guess what’s happening in this mystery tube as part of the Power of Ideas tour. Innovation150 is a nationwide partnership that engages Canadian youth, families, and communities across the country through travelling exhibitions, major innovation festivals, a touring Maker Mobile, a digital storybook, guest speakers, and exciting online experiences. Supported by the Government of Canada, Innovation150 is delivered through a partnership between Perimeter Institute for Theoretical Physics, Actua, the Institute for Quantum Computing at the University of Waterloo, the Canadian Association of Science Centres, along with its members, and the Canada Science and Technology Museums Corporation. 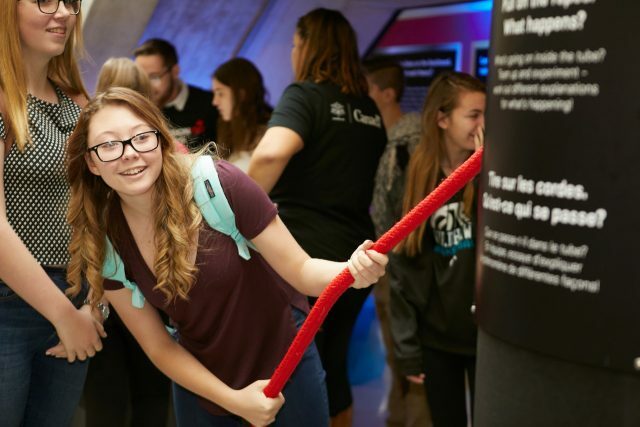 The Power of Ideas Tour features displays, discussions and hands-on activities designed to inspire youth by teaching them about the achievements of Canadian innovators and encouraging the students to explore their own ideas. More than 100,000 youth in more than 60 locations across Canada will take part in the Power of Ideas Tour. Brandon University’s Mini U is the host for next week’s event, which will take place in the Healthy Living Centre and the J.R.C. Evans Theatre, in promotion of the STEM (science, technology, engineering and mathematics) disciplines. 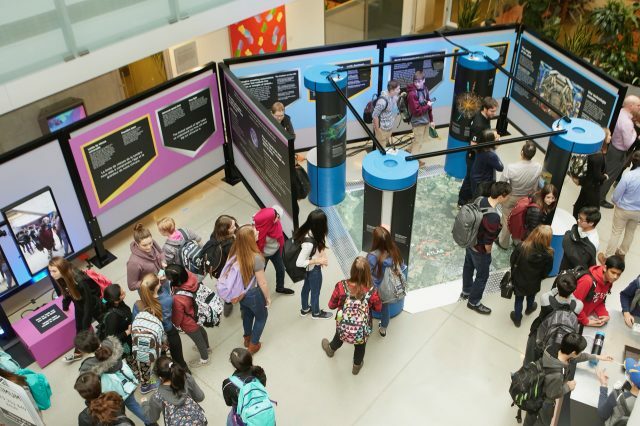 The Power of Ideas exhibition, aimed at older students, will include activities based on the Event Horizon Telescope project to study the black hole at the centre of the Milky Way, a look at how the cosmic speed limit can allow us to look back in time, and the largest particle accelerator in the world, the Large Hadron Collider. Actua’s Maker Mobile exhibition will allow younger students to use cutting-edge technology like 3D printers and laser cutters to experiment and build. “This will be a fantastic experience for students to learn and get excited about science,” said Dr. Nancy Stanley, BU’s Director of Mini U. The Power of Ideas Tour will visit more than 60 Canadian communities this year, reaching more than 100,000 youth in every province and territory. You can learn more about Innovation150 and its touring exhibitions at Innovation150.ca.